to evoke warmth and personal attention. Here are answers to a few of our most commonly asked questions. Please call us for additional questions. A Nurse Practitioner (NP) is an advanced practice registered nurse (APRN) who has completed advanced coursework and clinical education beyond that of a registered nurse (RN). NP’s take medical histories, perform physical exams, and order diagnostic tests and medical treatments. NP’s are qualified to diagnose medical problems, order treatments, prescribe medications, and make referrals for a wide range of acute and chronic medical conditions within their scope of practice. NP’s may serve as a patient's primary healthcare provider and sometimes specialize in specific subspecialties of medicine. NP’s are also known to pay extra attention to prevention, wellness, and patient education. NP's generally work in association with a physician who supervises their clinical care and is available for consultation as needed. Why do I need a primary care doctor – can’t I just go to the ER or an urgent care clinic for everything? Research shows that people who have an ongoing relationship with a primary care physician have better overall health outcomes, lower death rates and lower total costs of care. But most importantly, it's nice to be cared for by someone who cares for you. - Consider what questions you have related to your medical condition and what goals you hope to achieve with our visit. - If you must bring small children with you, in order to properly pay attention to your concerns, you will need to have someone available to watch your children during your examination and treatment. We do not allow children unattended in our waiting areas. - Gather any medical records and test results you would like us to review. We can help you request those from any prior doctors, hospitals or other institutions, especially if they are relevant to your current problem. - Collect your medication bottles and/or medication list for us to review. - Remember to bring your ID (driver's license) and your insurance card (if applicable). - If you will be taking time off work or from school for our visit, remind us to provide you a work or school excuse. May I have a family member or friend at my visit? You may have a family member or friend accompany you for any part of your medical visit at your discretion. We maintain female staff present for any women's health examinations. If you are making an appointment on behalf of a family member with cognitive impairment such as dementia or a minor under the age of 18, we will need you or the patient's appointed decision-maker present for each of our visits in order to sign consent forms, help make medical decisions, and receive our recommendations and instructions to care for your loved one. If we determine your condition is best managed in a hospital or other setting, we will advise you and help you make those arrangements based on your circumstances. You will be attended by a "hospitalist"-- a doctor who specializes in inpatient treatment. We will be available to share your medical information to coordinate your care and look forward to hearing of your progress. If you are hospitalized outside of our arrangements, please let us know as soon as possible and ask the hospital and/or your doctor, to send us a copy of your hospital notes and any test results when you are dismissed from the hospital. We transmit prescriptions to the pharmacy of your choice. We only write new prescriptions or refills for patients that have an established relationship with this practice after our initial face-to-face medical visit and who keep their appointments for appropriate monitoring and management of their condition. We provide sufficient supply and/or refills through our expected follow-up appointment interval. Medications for new conditions or conditions that require monitoring for therapeutic benefit or side effects require a face-to-face medical visit. What medications are not prescribed at this office? 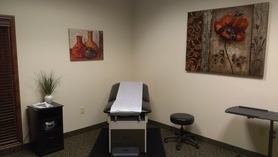 We treat a wide variety of conditions and prescribe a wide variety of medications. However, there are certain medications we do not prescribe due to safety concerns or due to falling outside of our expertise. We do not store or administer any narcotic medications in any form (oral, injectable or other). We rarely provide very strictly monitored prescription of other controlled substances when appropriate for pain or anxiety – that has happened in less than ½ of 1 percent of our patients. We do not refill controlled substances from other providers. We do not prescribe any narcotic medication on a first visit and not until prior records have been obtained, reviewed and continuation is considered appropriate. We perform pharmaceutical background checks of prior and current prescription patterns for assessment of safety. We reserve the right to discontinue any medication which is not being used in a safe and appropriately monitored manner. In summary, it is very, very unlikely someone will be prescribed narcotic medications at our clinic. We are always happy to help you with non-narcotic medications, non-medication treatments and referrals to pain and mental health specialists for your conditions. What if I need an x-ray or labwork? We have arrangements with multiple service providers for any of your radiographic or laboratory needs. We will happily order the studies we agree necessary for your condition and refer you to the location nearest you to obtain them at your convenience. If you have a third party payer that supports your health care expenses, these service providers will help you use that coverage for their expense. If your labs are not covered or you do not have insurance, we are able to draw your labs at our office and bill you for our lower rate as contracted with our lab partners. We will review your results, communicate them to you, and discuss our next step in your care based on the findings. What if I have a primary care doctor already? No problem, we’d be happy to communicate our findings and recommendations to your primary care doctor at your discretion. If you do not have a primary care doctor, we’d be happy to serve you in that role. We’d be happy to refer you to a specialist for your condition at your discretion. If your problem falls outside the scope of primary care or requires a diagnostic or therapeutic procedure we do not perform in our office, we will recommend that you see a specialist for that condition and help coordinate your referral.